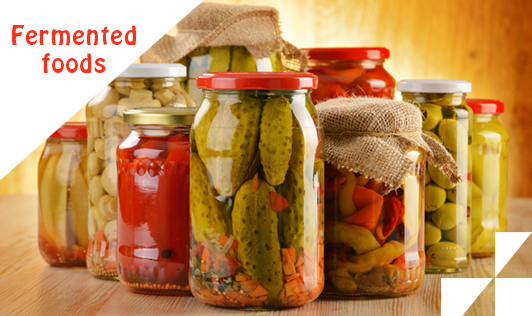 Fermented foods go through a process of lacto- fermentation. Natural bacteria/ yeast feed on the sugar and starch in the food creating lactic acid, initiating the fermentation process. Fermentation preserves the food, and creates beneficial enzymes, b-vitamins, Omega-3 fatty acids, and probiotics. Fermented foods have more nutrients. They are full of good bacteria (probiotics). Helps keep your immune system healthy. Lactic acid promotes growth of healthy bacteria in the gut.